It was early November in 2007 and Northern Iowa senior linebacker Brannon Carter needed one more interception to reach a milestone. He already had four on the season. With a fifth, Carter would become the first Panther to reach that mark in a season since his head coach, Mark Farley, had done it 23 years earlier. His position coach that year was Scott Frost in his first non-GA coaching job and just his second full season with a whistle. The rest of the world didn't know anything about Frost the coach yet, which might make Carter the first of what has become many proselytizers. 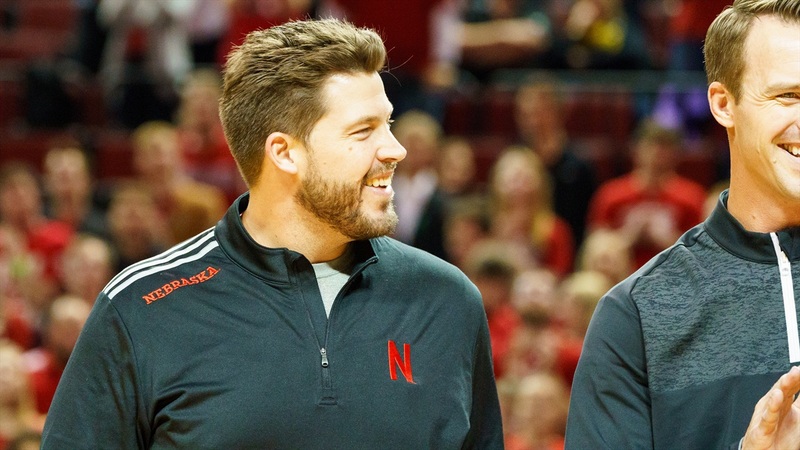 He credits the canniness of first year linebackers coach Scott Frost, who won the 1997 national title as Nebraska's quarterback, for his four takeaways. "That's what's accounted for all these turnovers," said Carter, who has helped the Panthers accrue 11 more turnovers than they've lost. "He really has a knack for teaching players to look for things that quarterbacks do and understanding what an offense is trying to do to you." It was the other side of the ball, but that sort of quote is straight from what has become the Frost canon. And I mention it now only because I was thinking about turnovers over the weekend. As expected, Nebraska wasn't very good in that regard in 2017 and Central Florida was. Turnover margin per game is a perfectly fine way to measure this, but if you want to fine tune it a bit it's not a bad idea to factor in pace by looking at turnovers relative to plays or possessions. Per cfbanalytics.com, Nebraska's offense turned it over on 2.29 percent of its plays (79th nationally) and 12.18 percent of its possessions (74th). The lack of takeaways was even more alarming. The Huskers gained a turnover on 1.45 percent of plays defended (115th) and 7.74 percent of possessions (118th). UCF's offensive numbers were solid – 24th in the plays measure, 20th in possessions – particularly for an offense that runs that many plays and always seems to be in attack mode, but the defensive numbers were even better. The Knights had a takeaway on 3.30 percent of plays defended (5th) and 17.49 percent of possessions (2nd). A defense can give up a lot of yards when nearly one-in-five opponent drives ends in a turnover. And while it won't get discussed as much as the tempo or changes on offense, takeaways are going to be a big part of the "Big Red Revival." It's sort of a trait of this staff. "In this day and age of the way your offensive football is going, the way to win games on defense is sacks, plus turnovers, minus explosive plays. We have to be aggressive, we have to take some chances," Erik Chinander said a few days after becoming UCF's defensive coordinator two years ago. In 2007, Northern Iowa finished the season with 31 takeaways (8th nationally) and 13th in turnover margin per game. One year later, Frost was promoted to co-defensive coordinator and the Panthers had 40 takeaways (3rd) and ranked fourth in turnover margin per game. Not surprisingly, UNI went 24-4 those two seasons. Chinander was on the staff those two seasons but on the other side of the ball, coaching tight ends. He would rejoin Frost at Oregon from 2010 to 2012 and again from 2014 to 2015 before following him to Orlando. As for Carter, he got that fifth interception on the day that story ran and went to be named Gateway Conference Defensive Player of the Year in 2007. ICYMI: Greg Smith caught up with one of the top quarterbacks in the 2019 class to talk about Nebraska as well as one of the Huskers' top remaining targets in the 2018 class. Also, women's basketball couldn't quite get over the hump against Maryland, but the wrestlers dominated at Michigan State. Good read on how "college offense" infiltrated the Super Bowl. Alabama just lost a recruiting battle to Princeton. Scott Frost tells Steve Sipple he's not a fan of removing transfer restrictions, but is in favor of reforming redshirt rules.